Yes, we are have decided to go totally outside the box of life (once again), give up a permanent residence and live in a RV for at least a year. How did this come about? 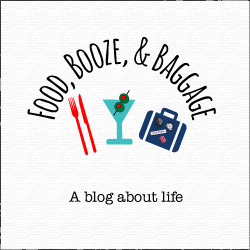 It’s really a short story for what feels like a big change in lifestyle and a huge shakeup of routine and everything we know. In April of 2018, we went on a wonderful trip to Denver to see our friends. I could not have asked for a better trip, we dined, we brewered (wined is a word, maybe it should be we beered?) , we did all the things we love and it was great. On the flight home I got to thinking about all the things we want to see or say, oh next time we should do this or that on a trip. P and I rarely get out of the city when we visit anywhere (because much of our favorite things are in cities) but we also enjoy hiking and seeing the views of unexplored (to us) places. I believe life is what you make of it. While we enjoy a wonderful life, our normal daily routines could only allow us so many new experiences, so many new places to explore. There is only so much time and money to go to new places (or to go to old places to see old friends-#thestruggleisreal). Driving cross-country definitely awakened a desire to see more of the American landscape. It was amazing to see all the changes in landscape as we drove from NC to CA. And since moving to CA we have tried to do more hiking and get out into nature. P has always joked about living in an RV, and I was always like umm nope. I’ve never been a camping kind of girl. So while the idea may seemed left-field, it is something that had come up in short conversations. The Saturday after our trip, after the idea struck me on the flight home. I mentioned to P, what if when our lease is up in 2019 we should figure out how to live on the road for a year. And that afternoon, we were out looking at RVs (no joke). Now at least one year out of our lives will be constant adventure of new experiences. For me, such a big change in routine is scary because I don’t know what to expect (and I’m a little bit of a control freak). BUT I’m also so driven by wanting to see and experience new things, and this is the ticket for that. 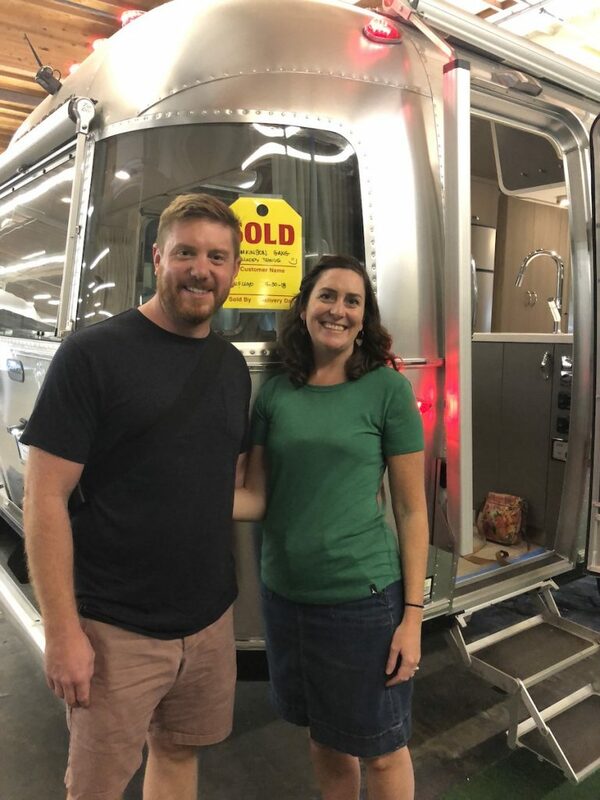 Of course a ton of research and negotiations happened between that first outing to look at RVs and when I’m writing this (and the research continues, this is a big learning experience for sure). April idea announced, May we bought the truck, September the Airstream, and in March we hit the road. Other factors in making this move is that we currently do not have any pets (having lost Eddie in January of 2018 and Sam the year before), our lease was ending and we had discussed maybe seeing if we could move to a new location (depending on P’s work), and the fact that P’s work agreed to him working remotely. It just felt like the timing was right. I wanted to do it when I felt like we can really take advantage of the adventure; when we are physically able to explore and hike. If not now, when? I’m not sure when (if) we reach retirement age that we will be able to explore so freely (plus none of us are guaranteed that anyway). We both have seen too many people say, “we will do that when we retire” and one or both don’t make it to retirement. Are we incredibly lucky and privileged to be able to do this now? YES! But part of that is realizing that nothing changes unless you make the change, unless you ask if it’s doable and take the steps to make it happen. Are we getting rid of all our stuff? NO. It’s all going in storage, however we had already tagged quite a few big pieces to be replaced when we moved next so that cuts down on some of what we will store. Are you working? YES. We are both still going to work full-time, and we aren’t traveling each week. Most places we will be staying a month to a few weeks so that we can enjoy the location and the travel won’t be disruptive to our work week. There was a lot of research that has went into how to make sure we stay connected on the road. How can you afford it? Given what we pay in rent + car payment + utilities already, the budget for our monthly expenses living on the road is roughly the same (maybe a little less). Since we are not maintaining a house that big expense goes to the rv payment and rv park rentals. Plus see above, we are both working, it’s a new way of life not a vacation. No matter what it will be an adventure. We might hate it and can’t wait for the year to be up (also by the way that’s a pretty arbitrary deadline set my me but I feel like we need to stick it out for a year). We might love it and make it two years (or more?!?) We might fall in love with a place we visit and never want to leave. As I’ve said before and I’m sure I will continue saying, probably well into the trip I’m excited and nervous, and can’t wait to share the adventure! I guess I’ve really taken to heart “all the places you will go”.